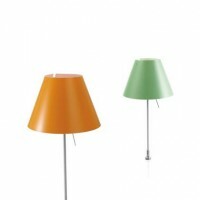 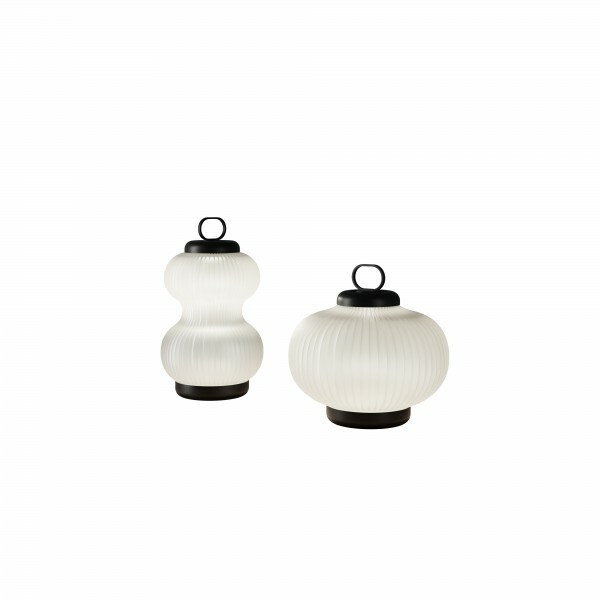 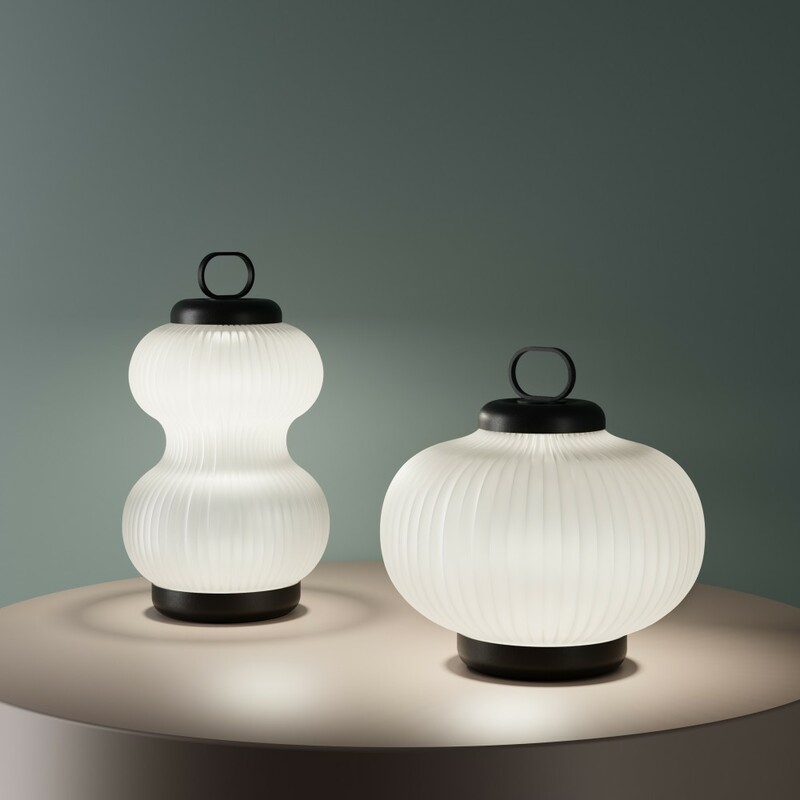 Table and suspension lamps, large and small, in blown glass with two nishes – transparent smoked and frosted white. Structure in black painted metal. 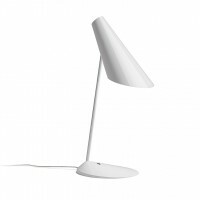 Ø 12.2" x 20" + 98.4"
Ø 16.8" x 15.3" + 98.4"